The 2018 Book Contest winner—Get Up, Get Going: Tales of a Country Veterinarian by A.J. Neumann and Renae B. Vander Schaaf—is a treasure 93 years in the making. On June 24, 1926, A.J. Neumann was born in the downstairs bedroom of his family’s farmhouse. From that moment, his life has been nothing short of fascinating. A child of the Depression, Doc Neumann served his country during WWII, studied at Iowa State University, and dedicated his decades-long veterinary career to the farm families of Northwest Iowa. There’s no such thing as luck. God’s plan is already in place. 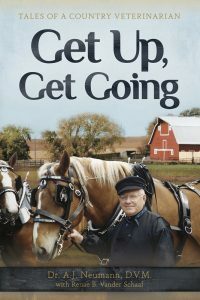 Get Up, Get Going is available for purchase on Amazon and BarnesandNoble.com. 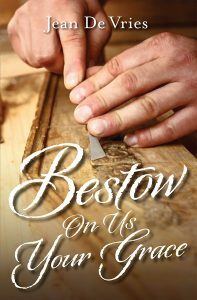 Bestow On Us Your Grace, winner of the 2016 Book Contest and written by Jean De Vries of Pella, Iowa, is a heartwarming novel about family, faith, and love told through the eyes of a very unlikely couple: an 18-year-old expectant mother and her Amish neighbor. Kirsten Walker’s life is anything but picture-perfect. Facing an unplanned pregnancy at 18 makes the picture even bleaker until she finds an unexpected source of hope in her Amish neighbors, the Miller family. Kirsten is especially drawn to Silas Miller, a soft-spoken woodworker who is determined to open Kirsten’s eyes to the ways God is shaping her life into a work of beauty. De Vries is a homemaker and manager of chaos for her husband, Brian, and their three children, Reagan, Maddie, and Hunter. When she isn’t busy helping with homework, doing laundry, or fixing meals and snacks, she enjoys volunteering at her church. Bestow On Us Your Grace is her first book. It is available for purchase on Amazon and BarnesandNoble.com. 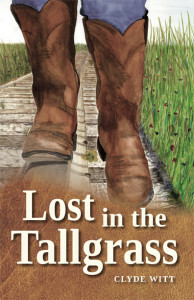 Winner of the 2014 Book Contest, Lost in the Tallgrass, is a coming-of-age historical novel written by Clyde Witt of Sagamore Hills, Ohio. 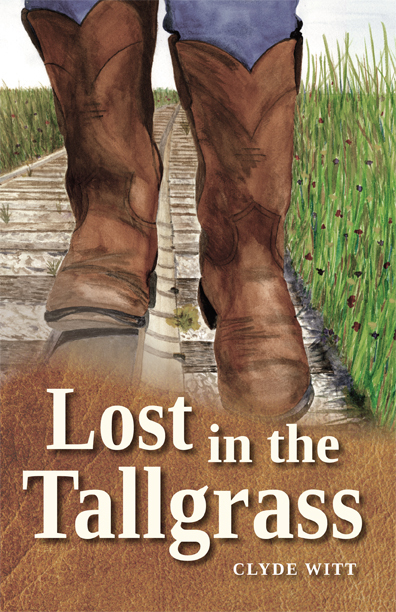 Lost in the Tallgrass begins in 1916, as Rusty leaves home to fulfill his dream of becoming a cowboy―and to find his runaway brother. It is the dawn of a new transportation age in a country on the brink of war, and Rusty’s odyssey takes him from the motorcar-clogged streets of his Indiana home to the endless prairies of Kansas. He finds himself in a world where people who have forgotten how to dream are quick to tell him how to run his life. He must learn fast that seduction is not love, a romantic notion of the past is not a promise for the future, the kindness of strangers is not always to be feared and love is something shown, not words spoken. Rusty discovers that the Wild West is more wonderful―and more dangerous―than he ever could have imagined. Witt spent 25 years with Penton Media in Cleveland, Ohio, and retired as editor-in-chief in 2008. A graduate of Kent State University, he is married to Susan Jones and has had his work published in numerous magazines and newspapers since 1968. View more information about Witt at his website, www.clydewitt.com, or email him at cewitt790@gmail.com. The novel is an insightful exploration of the intertwining worlds of law and medicine, and investigates the terrible consequences of greed and betrayal. It tells the story of Maria, a small-town family doctor wrongly accused of murdering two of her patients, and Leo, a construction worker trying to overcome the ghosts of his past. After Maria makes a daring escape from jail, her path crosses with Leo’s in unexpected ways. It’s only when Maria gets caught, and only when Leo gets a grip on his life, that justice, relief, and rebirth become possible. 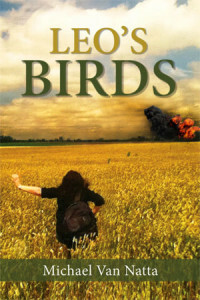 The book was published as a paperback and e-book in the summer of 2012. The publication was celebrated by a book launch at The Next Chapter bookstore in Knoxville. Family, friends, and fans filled the store to hear Mike read from and sign copies of his book.